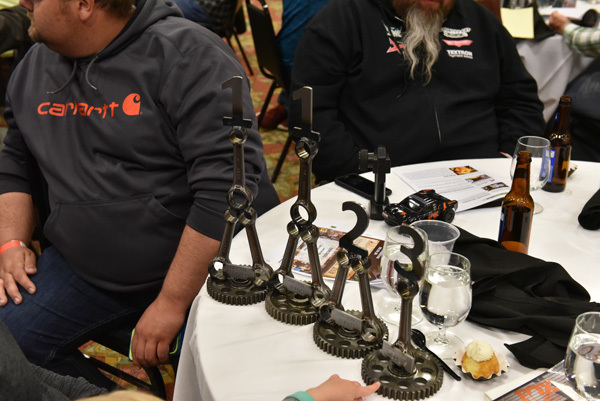 They came, they raced, they laughed, they ate and they bid on dozens of really cool items and experiences. 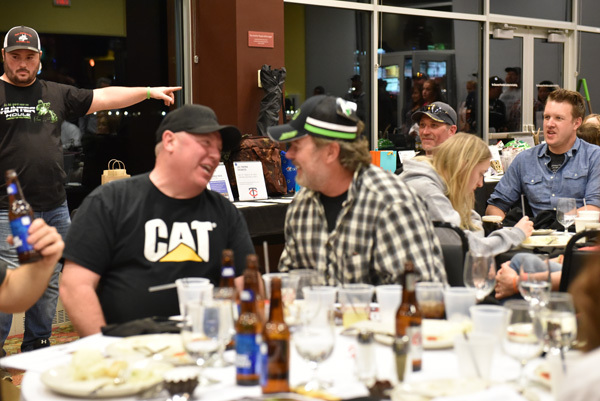 And in the end, they had a blast while raising more than $50,000 for the Hunter Houle Memorial Foundation. 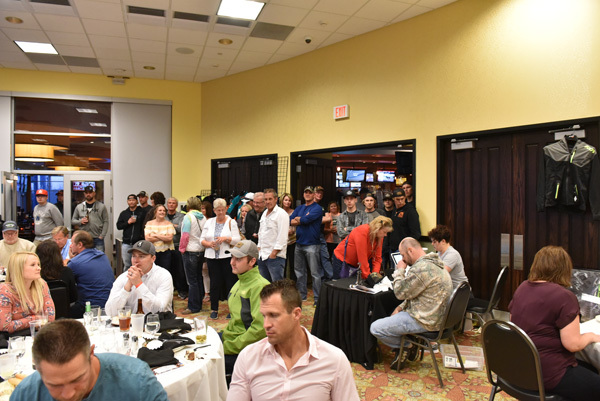 “They” were the few hundred people who took part in the 2nd Annual HHMF Fundraiser, April 2018. 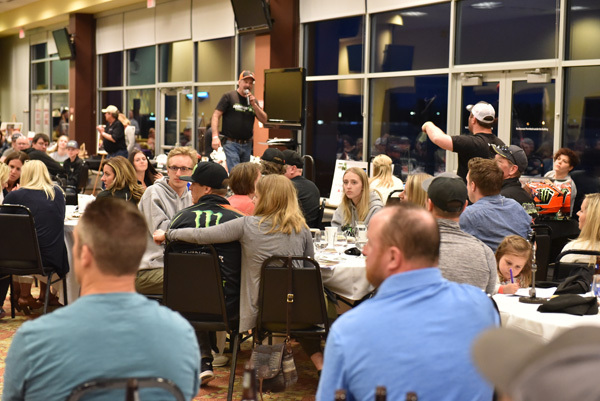 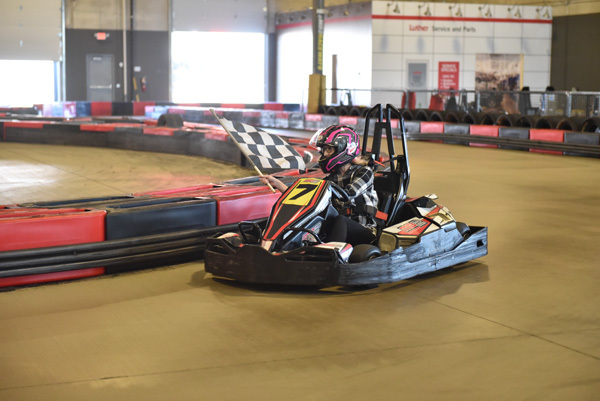 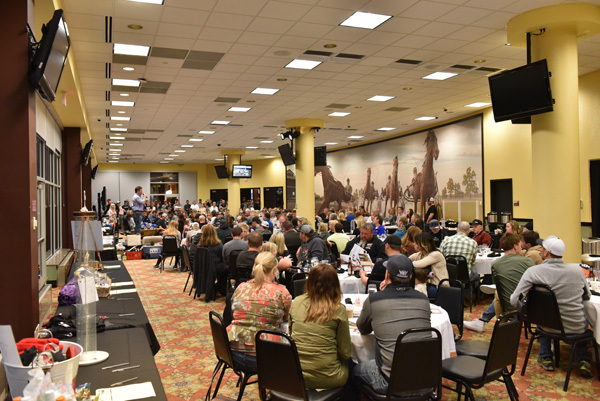 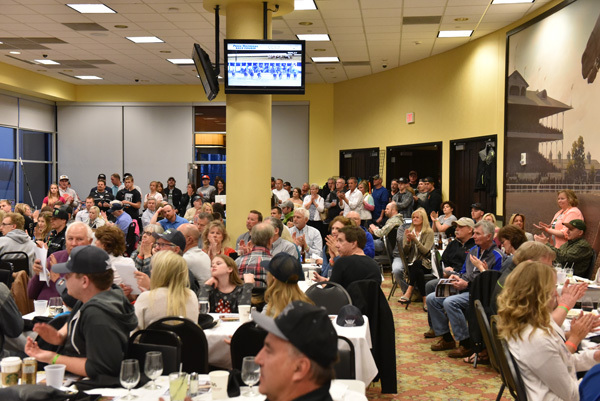 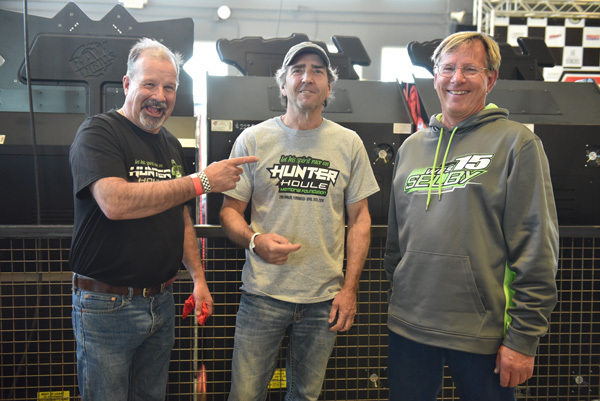 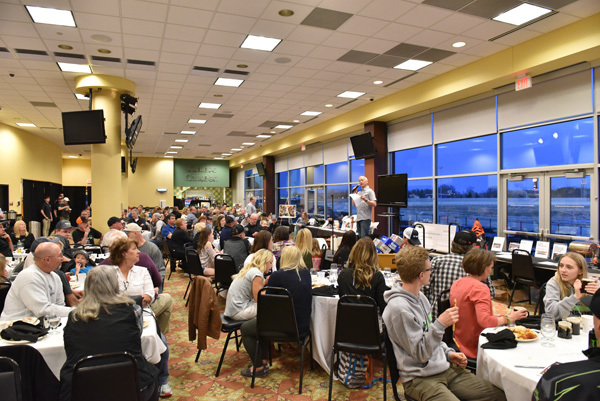 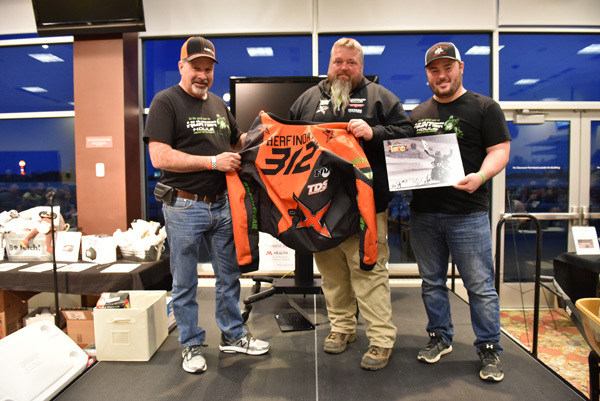 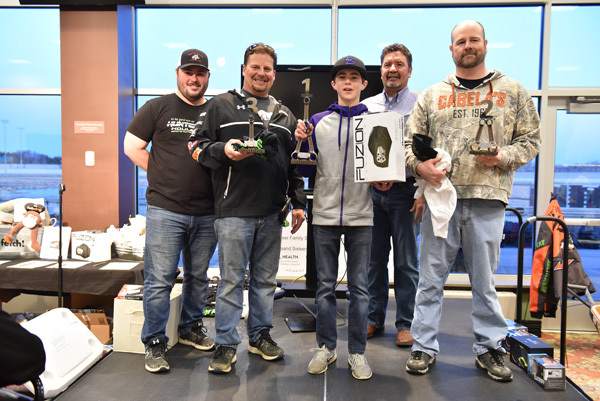 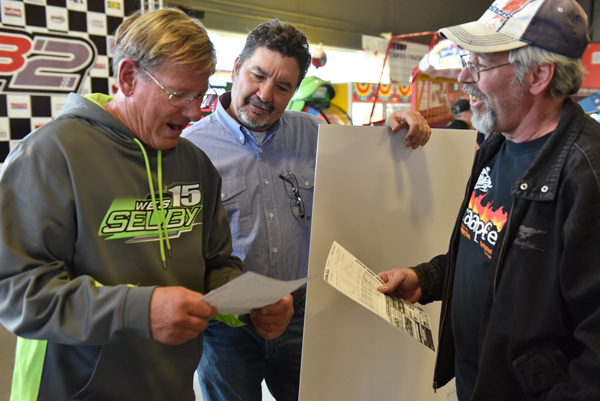 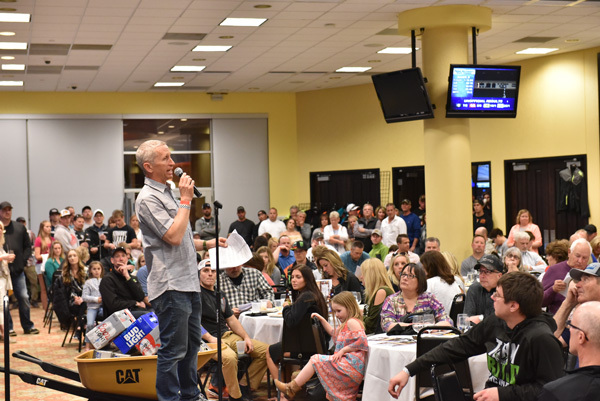 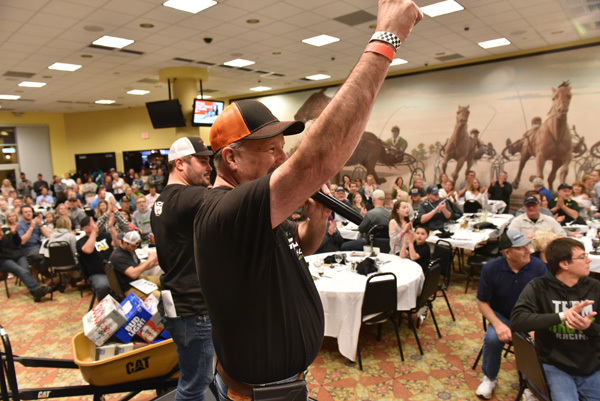 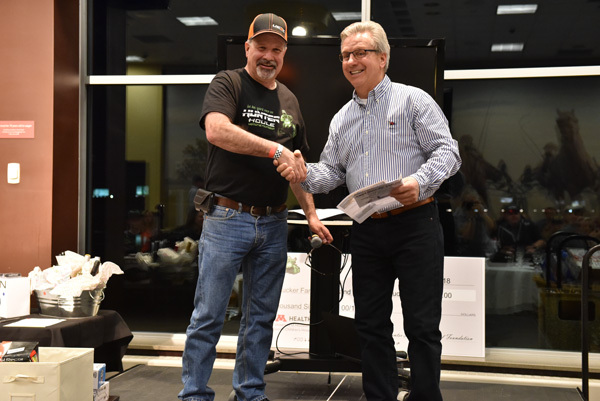 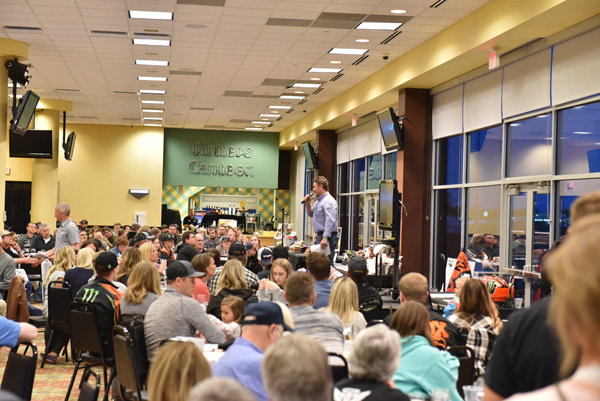 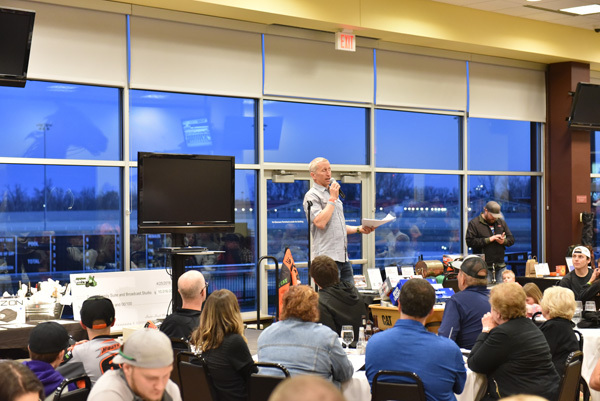 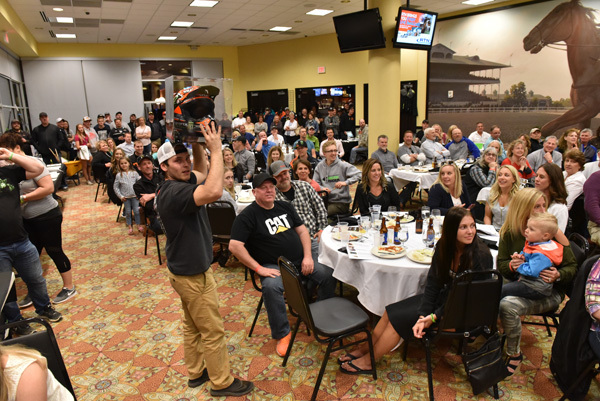 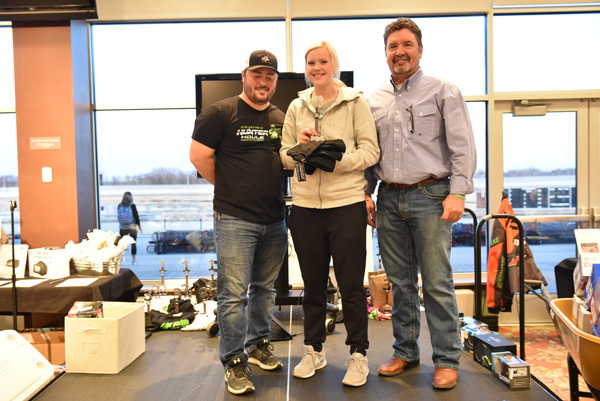 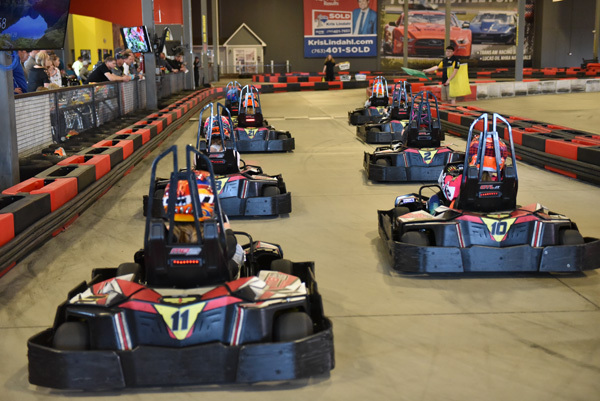 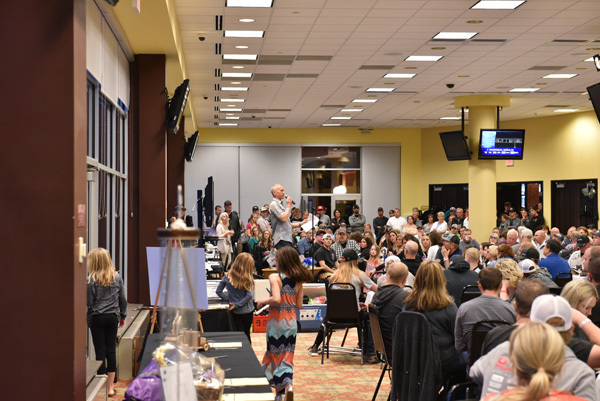 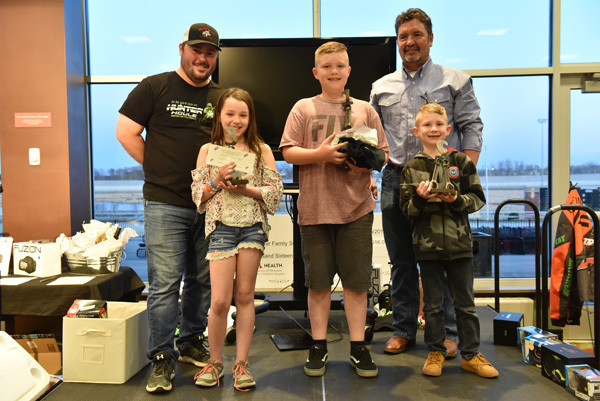 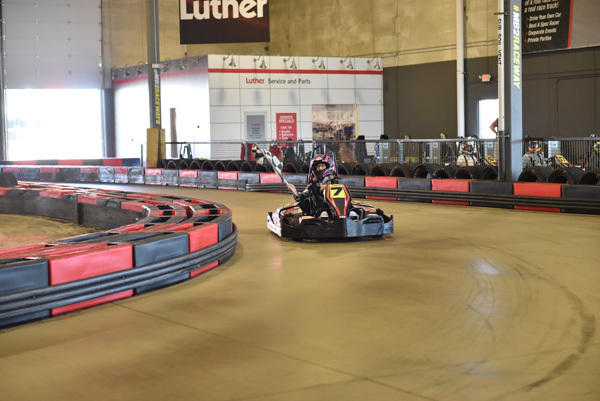 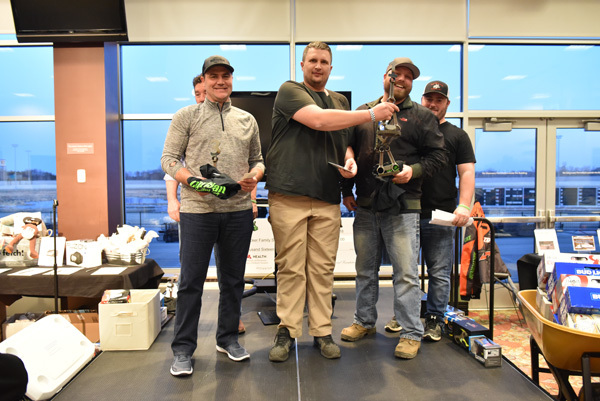 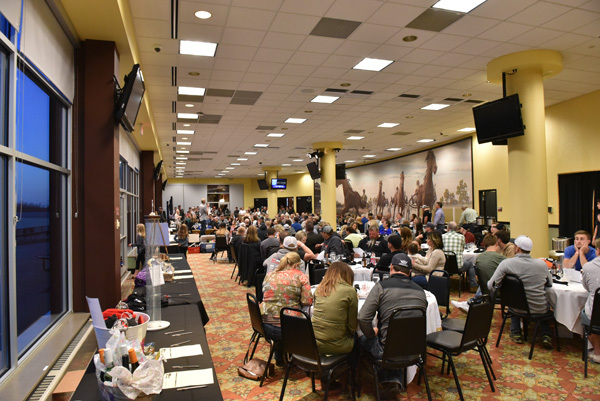 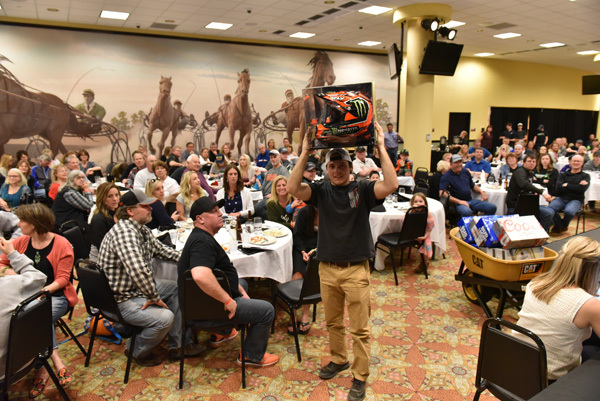 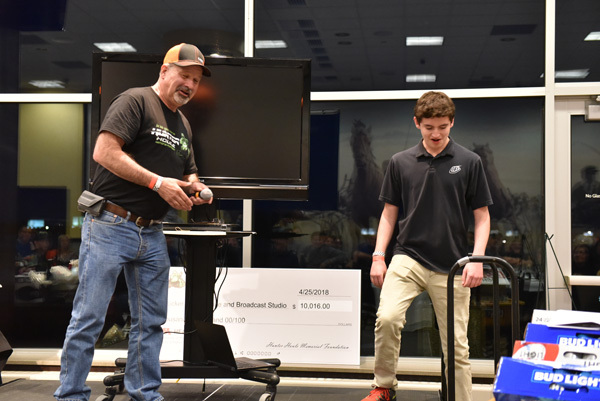 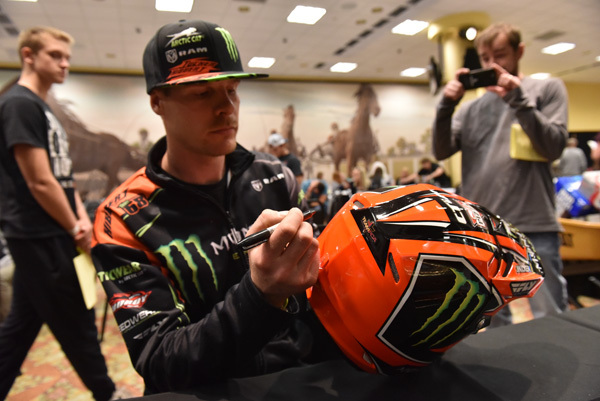 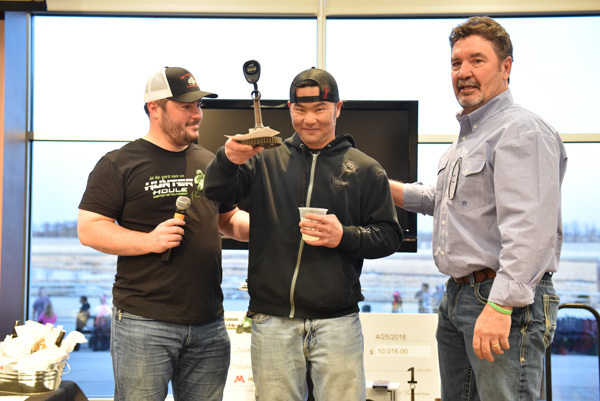 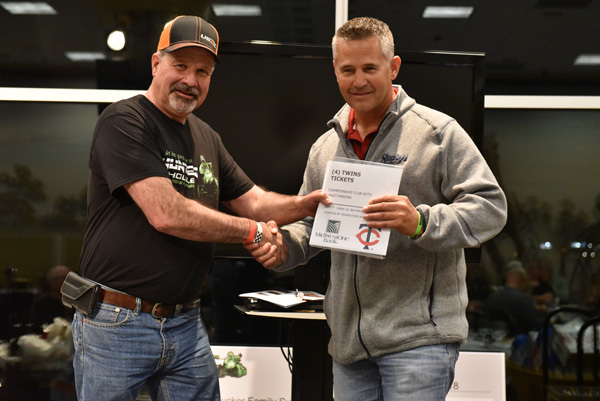 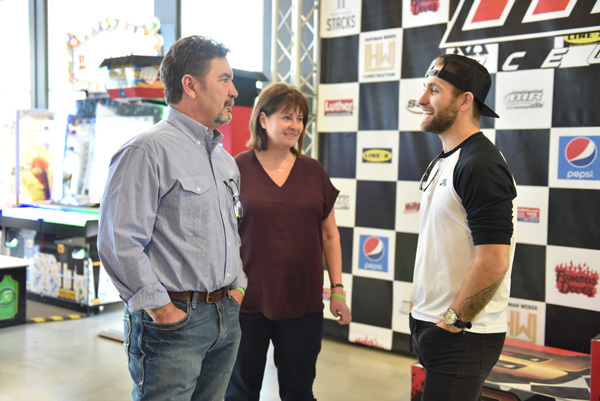 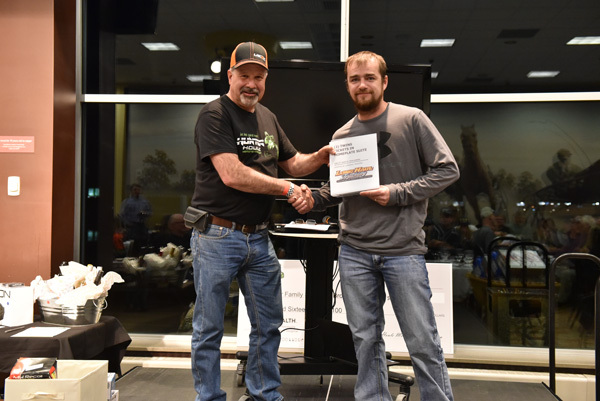 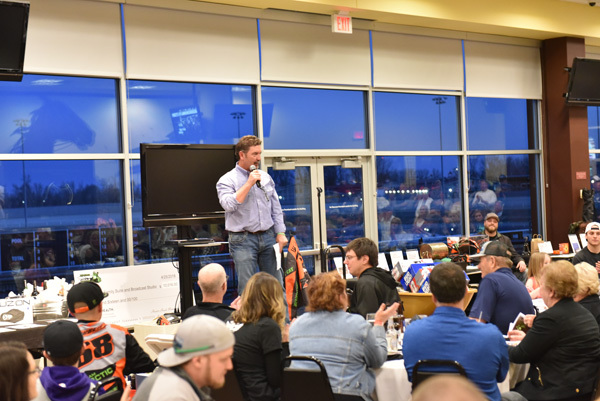 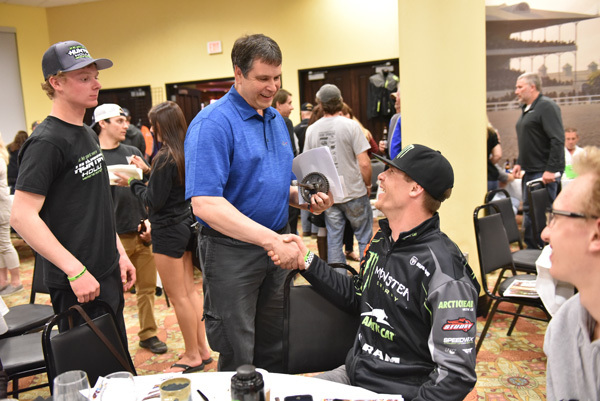 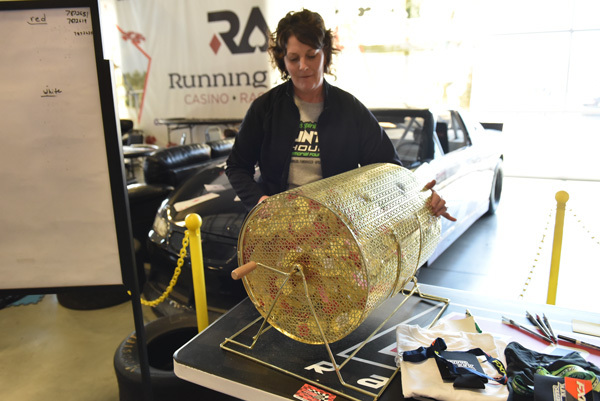 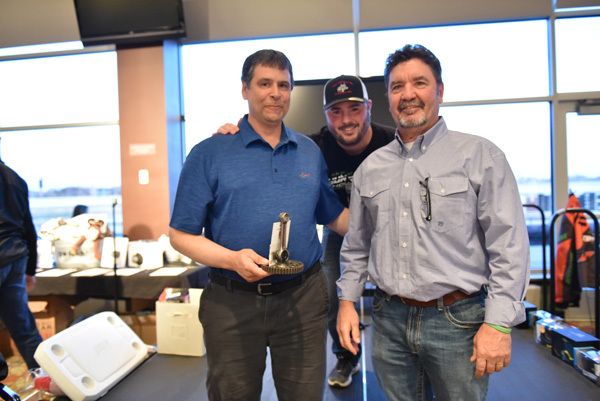 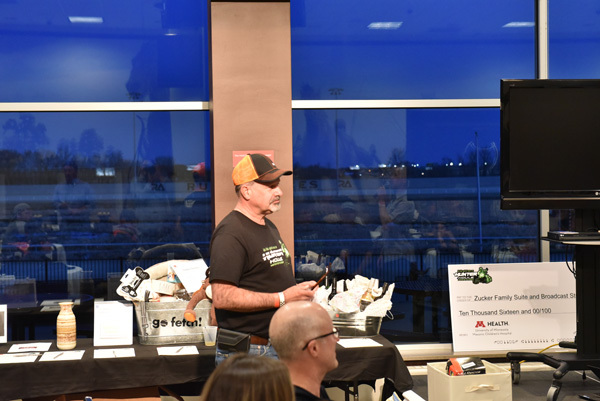 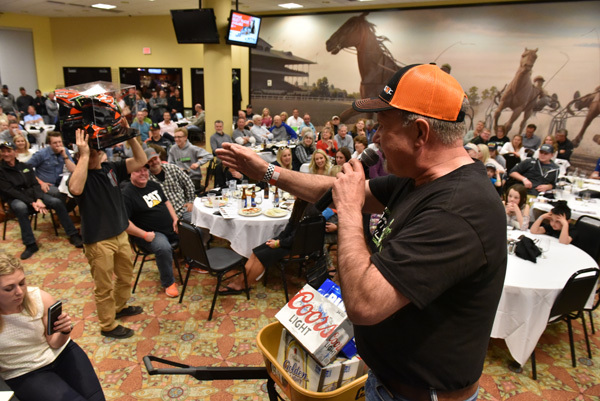 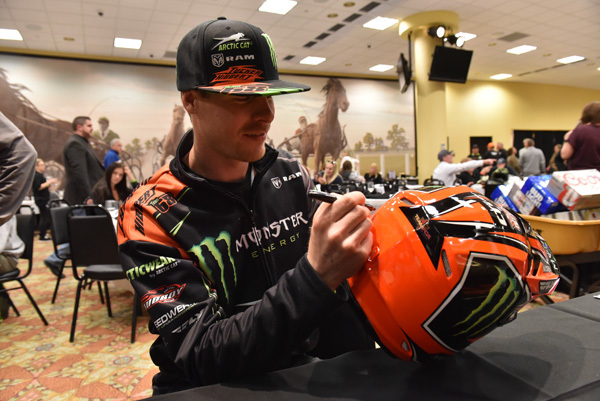 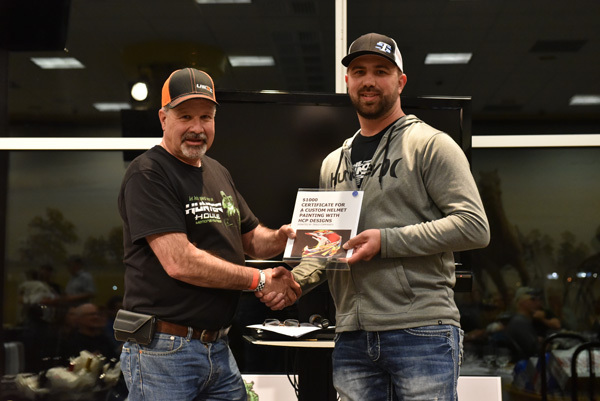 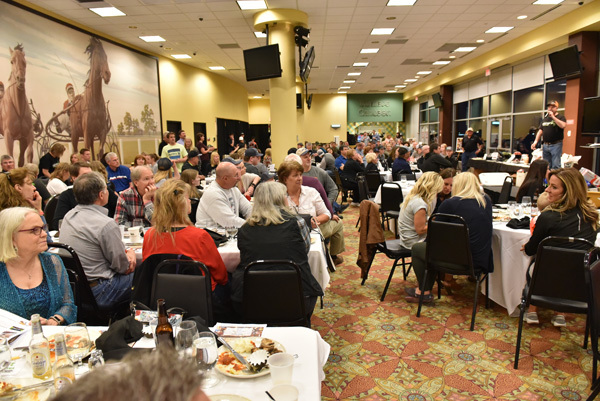 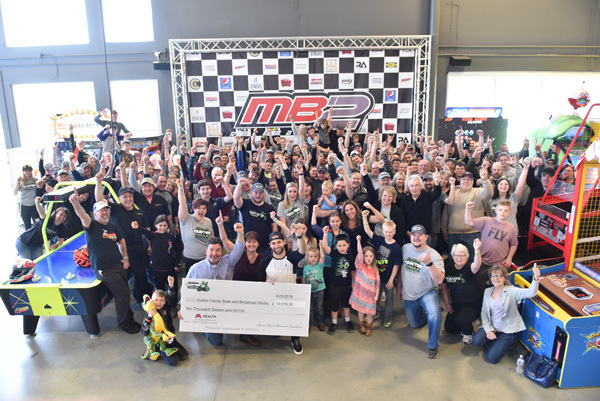 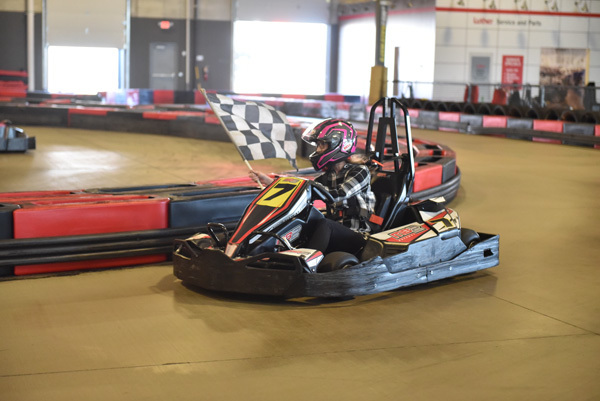 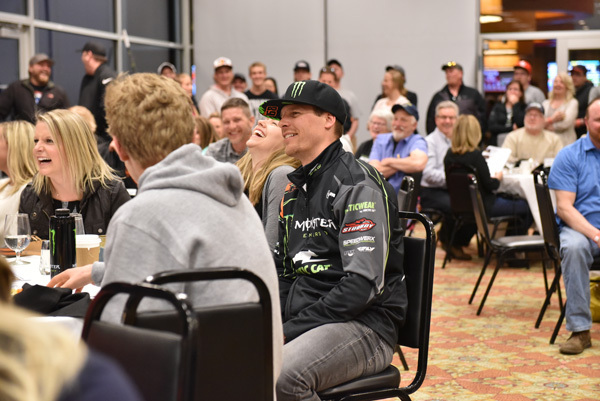 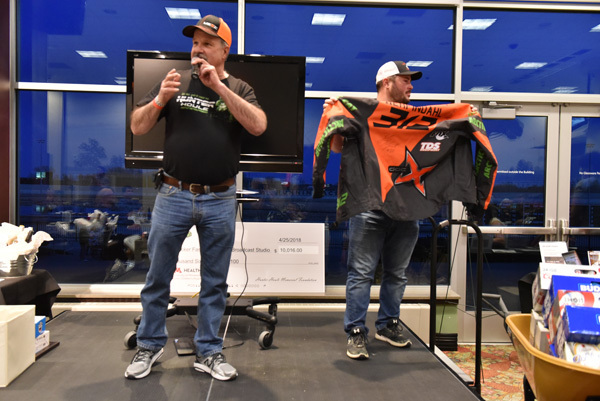 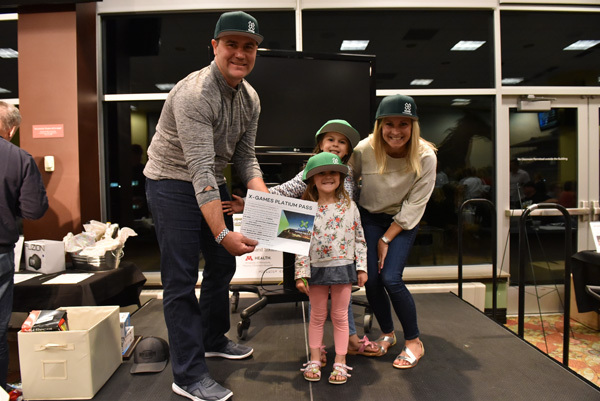 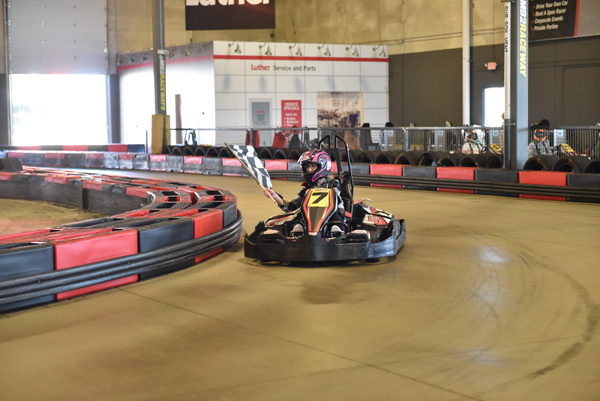 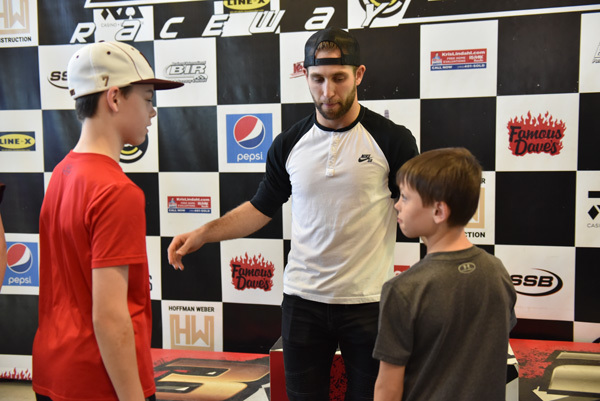 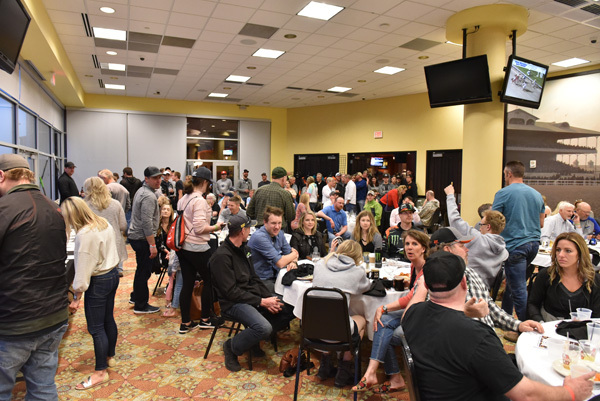 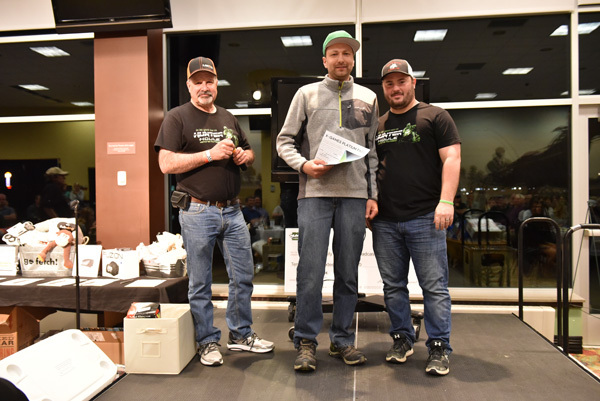 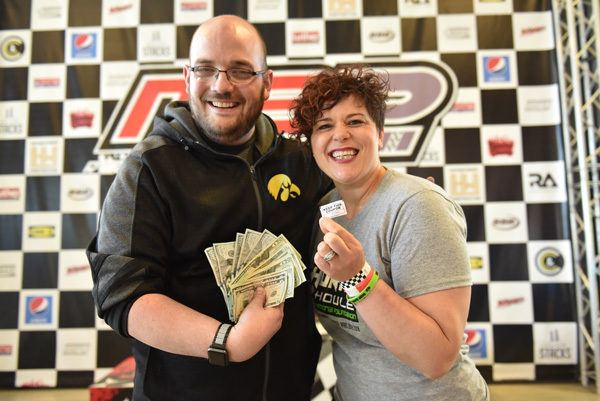 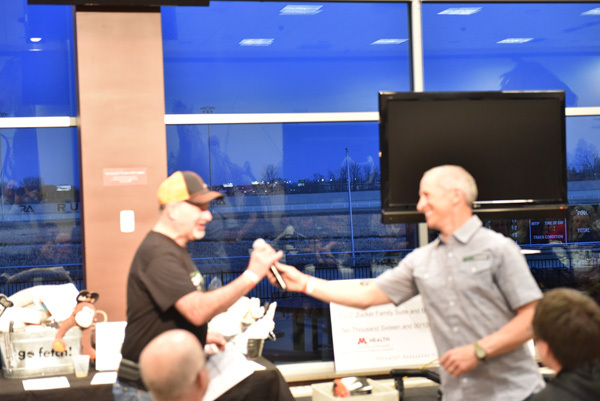 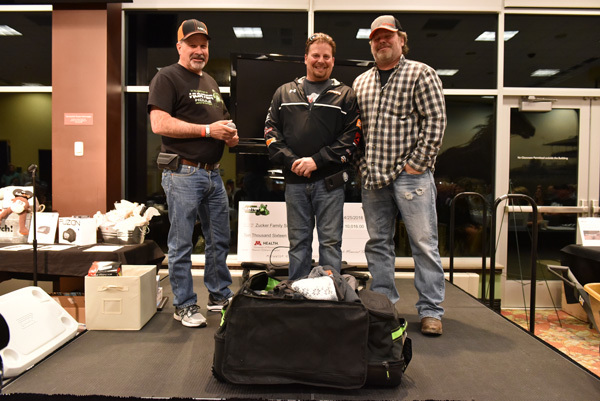 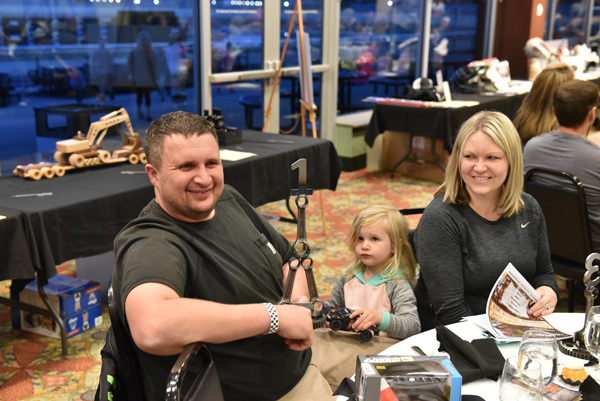 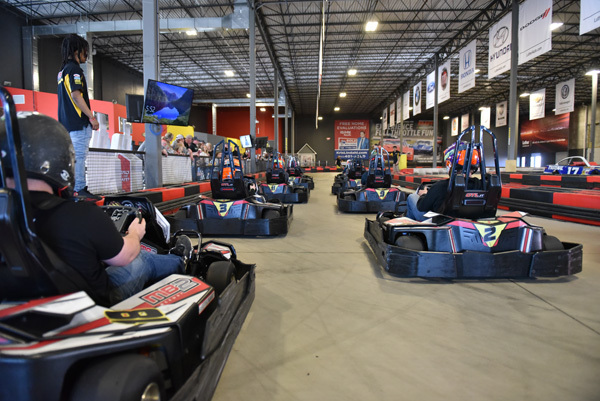 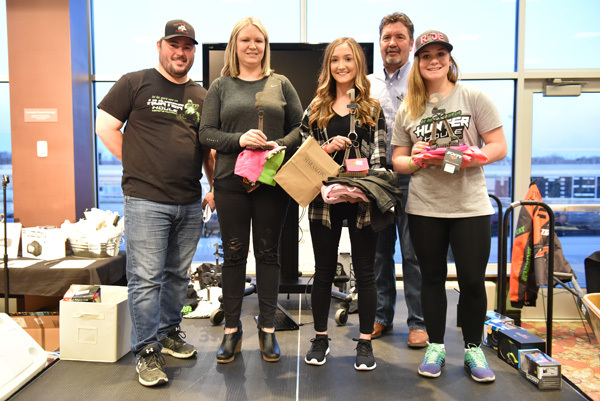 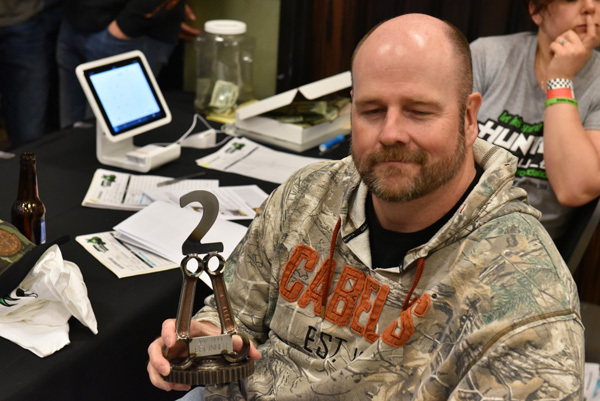 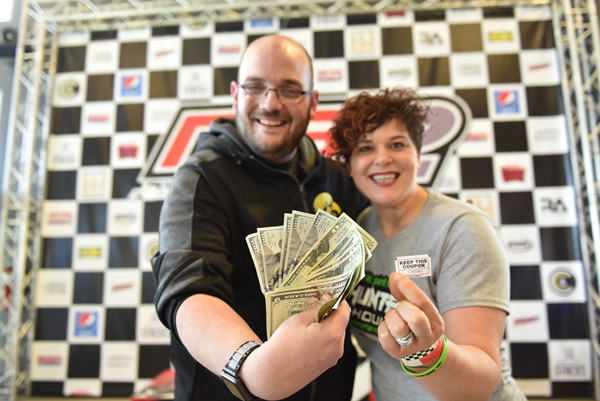 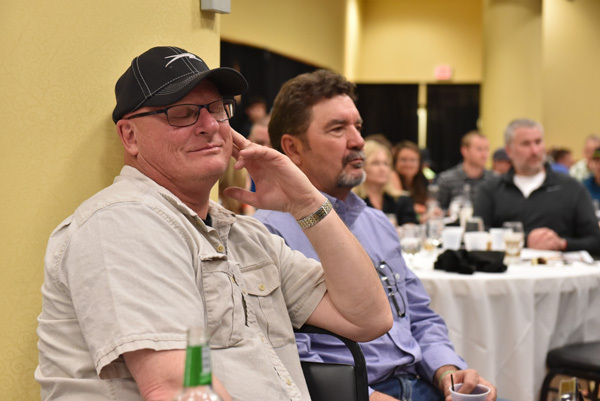 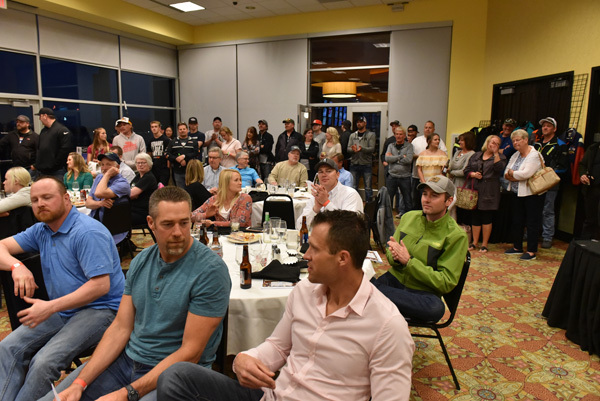 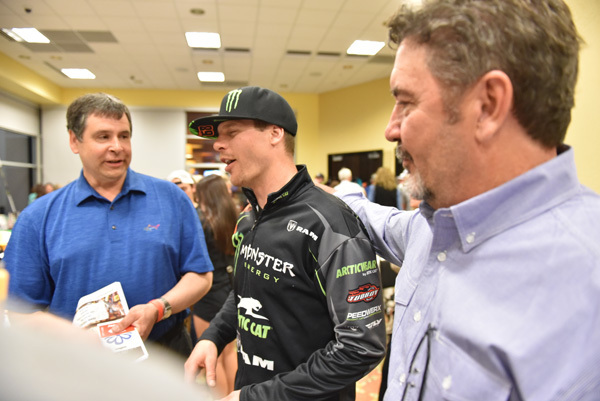 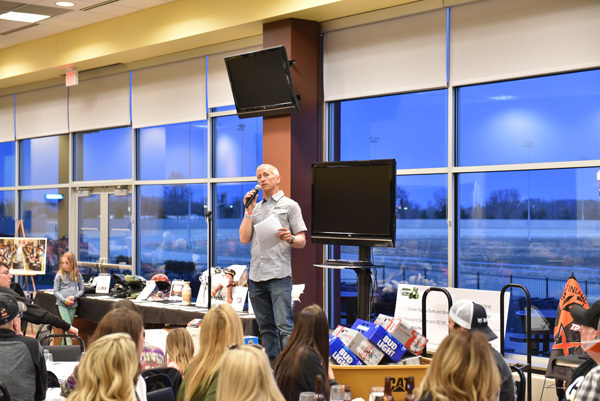 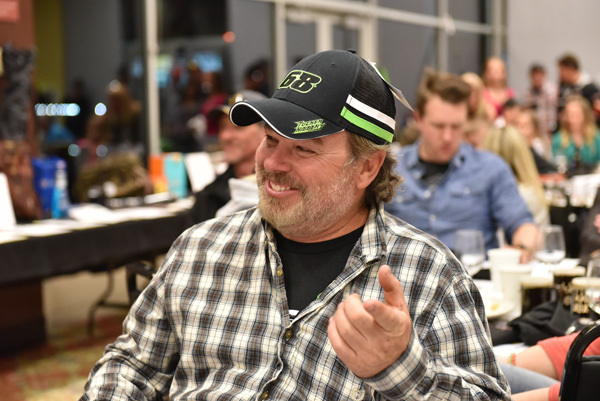 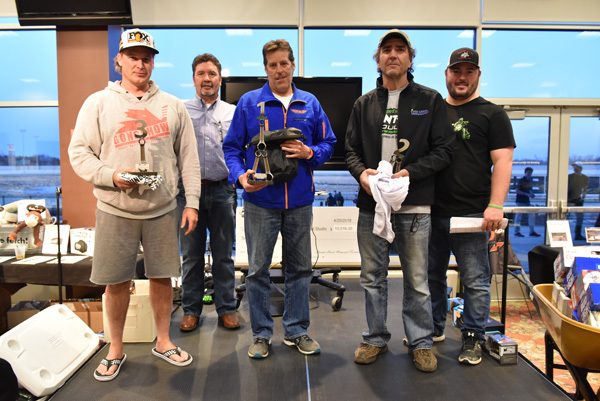 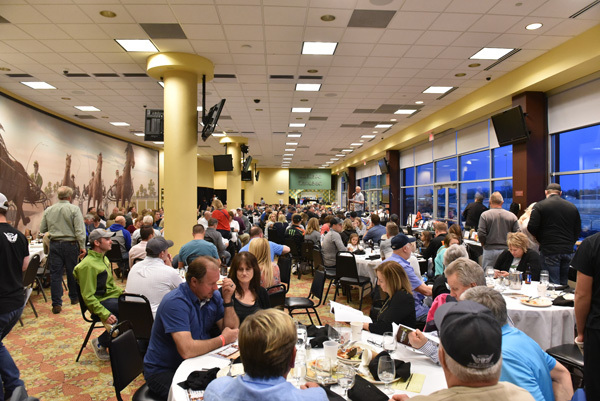 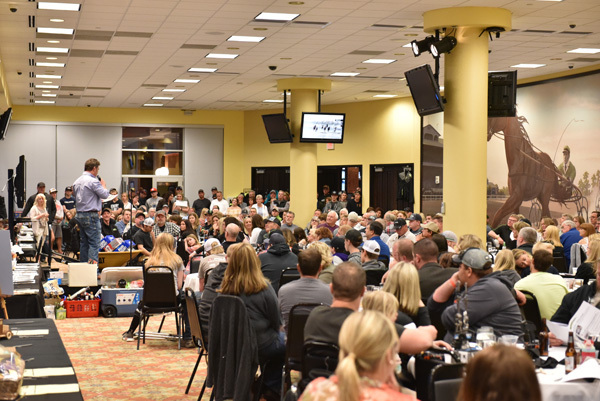 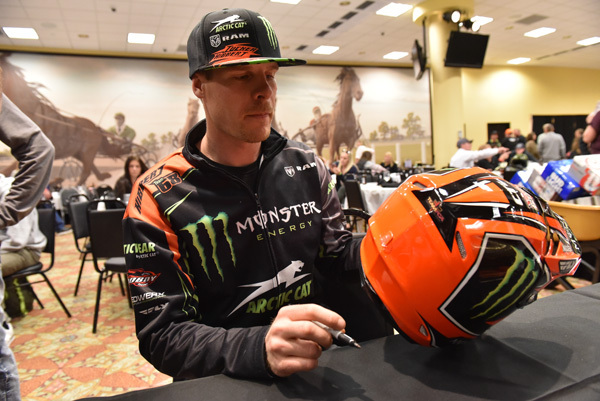 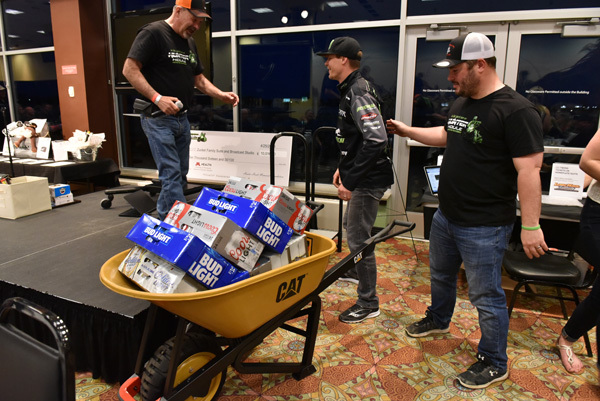 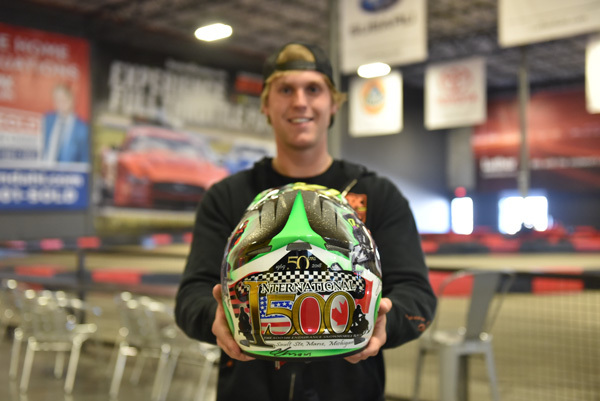 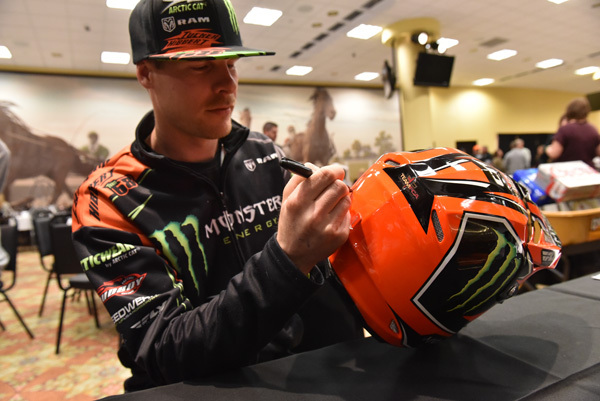 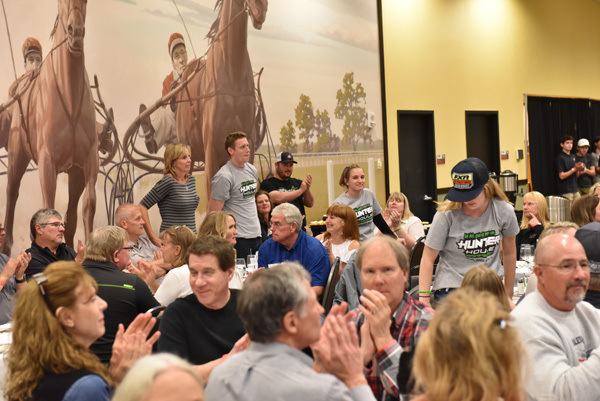 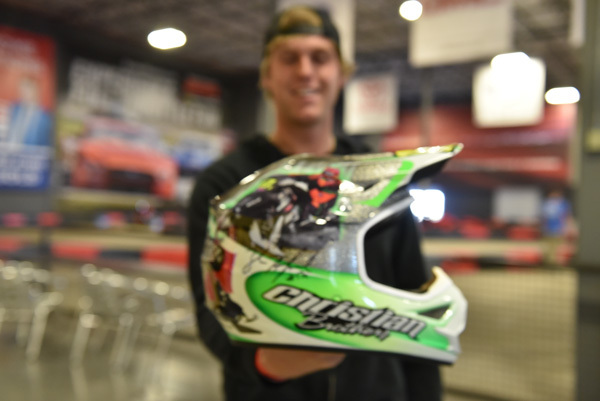 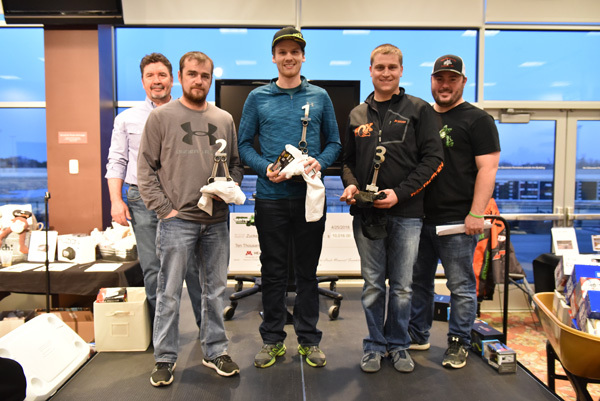 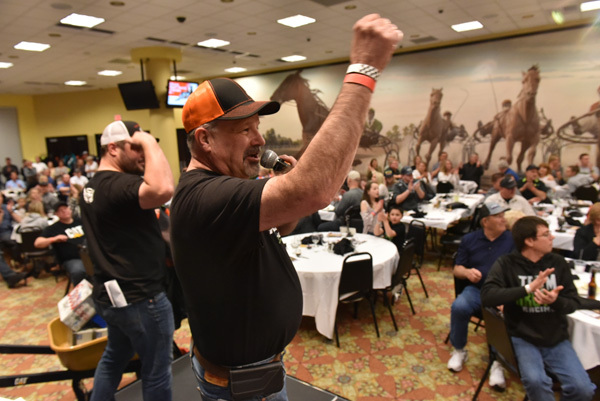 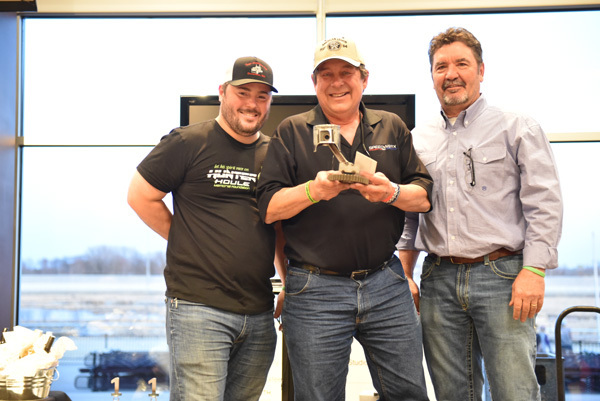 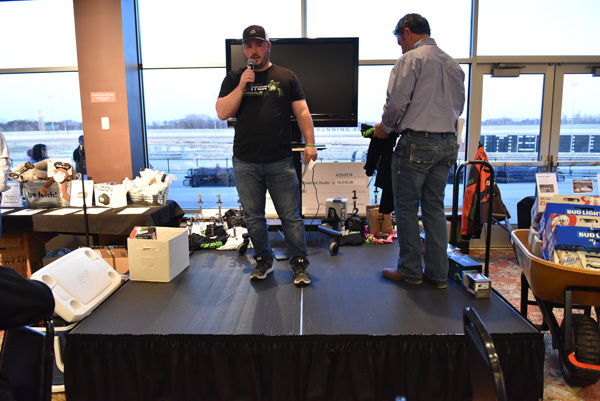 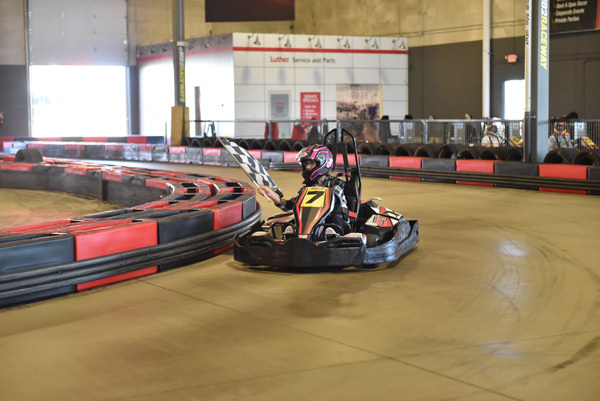 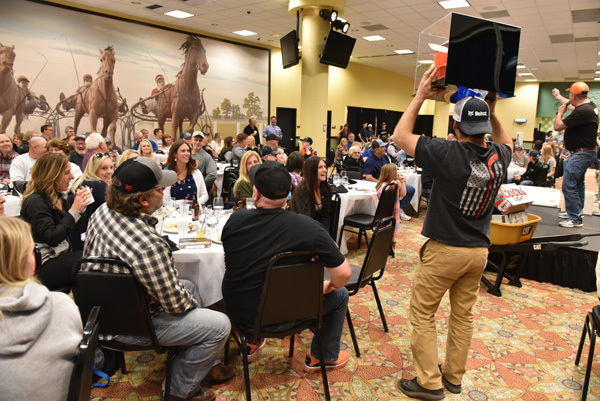 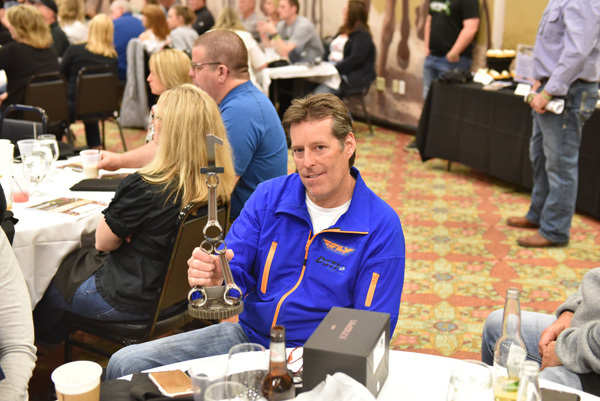 The second annual event retained two important elements of the first event—indoor go-kart racing and donated auction items—while expanding with an evening banquet at Running Aces in Forest Lake. 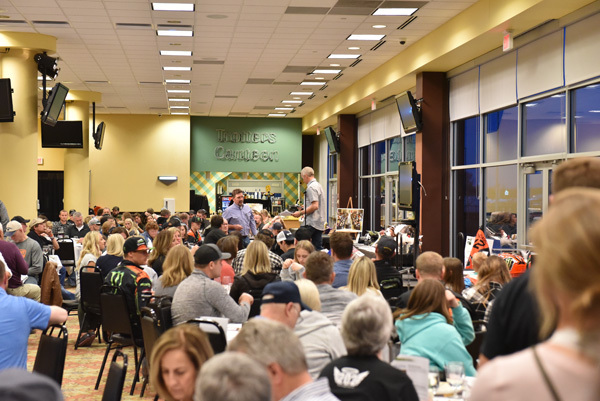 The banquet proved a huge hit, offering attendees a fun, conversational atmosphere mixed with great food and both silent and live auctions. 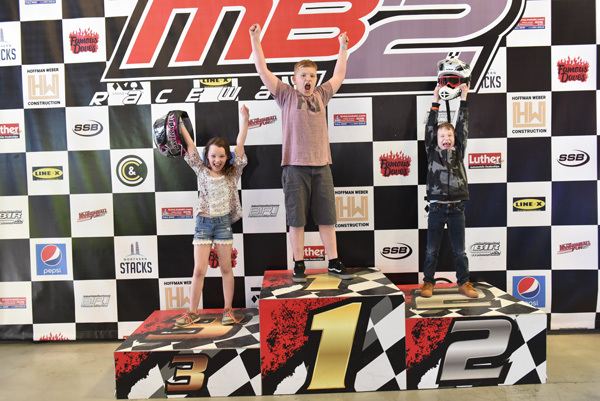 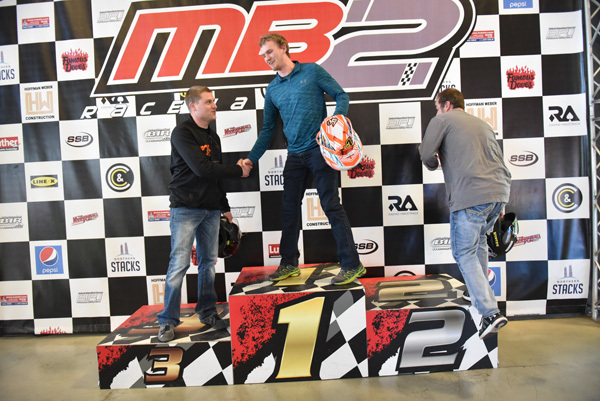 Once again the go-kart racing provided excitement and laughter. 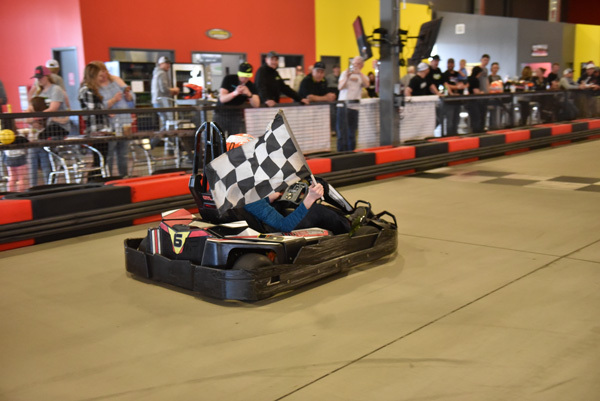 No go-karts were completely destroyed and no serious injuries occurred, but there were some funny, intense moments that provided hours of bench-racing material for the day. 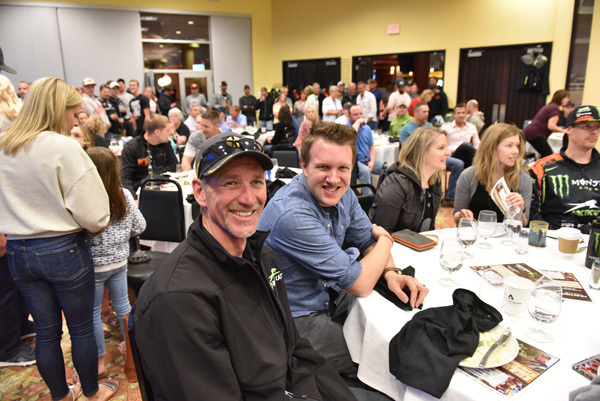 Some people came only for the racing, others just for the banquet, and many for both. 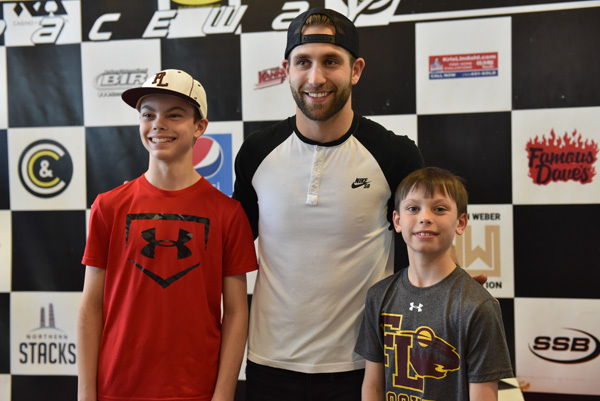 We presented a check for $10,016 to Minnesota Wild star Jason Zucker, for the Zucker Family Suite and Broadcast Studio being built to help patients at the University of Minnesota Masonic Children’s Hospital. 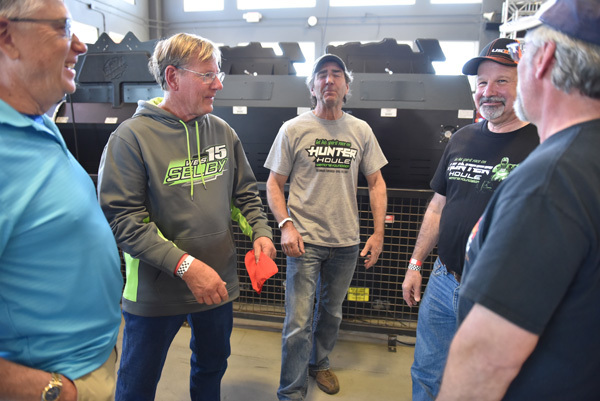 Many of us who have been touched by Hunter’s passing have looked for ways to remember and honor him. 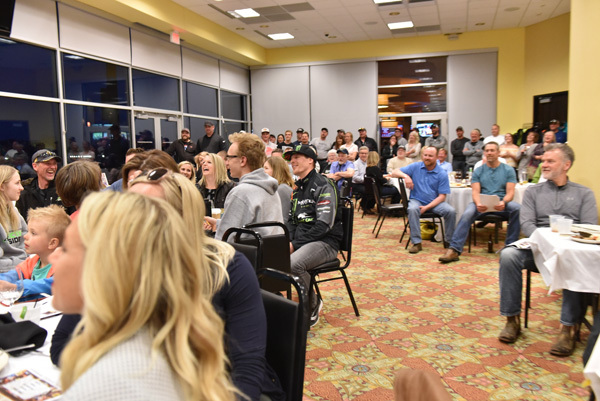 This event has proven to a great way to do both. 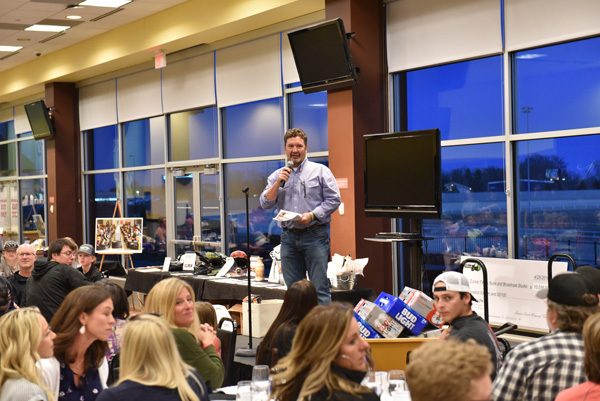 To have raised more than $50,000 in Hunter’s name was a testament to human generosity and the impact that Hunter had in his 18 years. 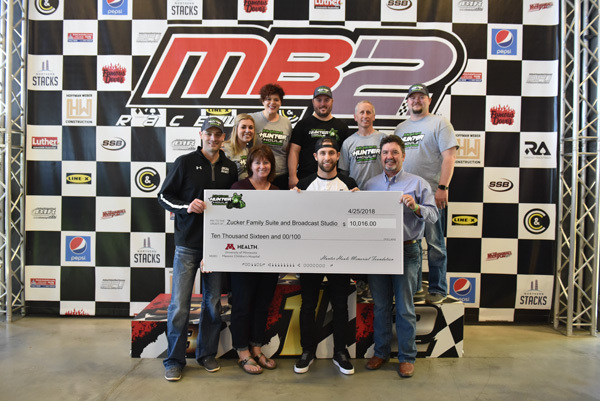 That money will help lift up people in need, which is a beautiful way to see Hunter’s spirit move through the world. 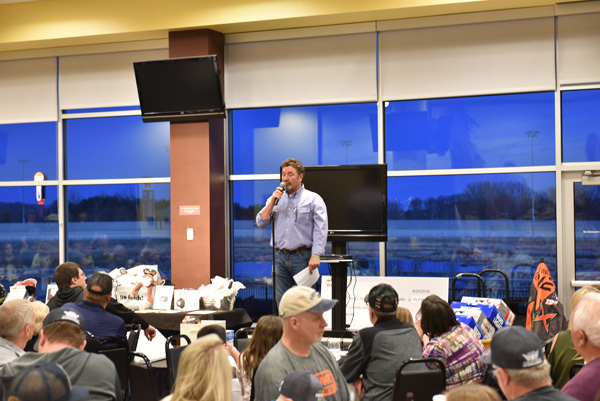 Thanks to all who came, we look forward to seeing you again at our next event!